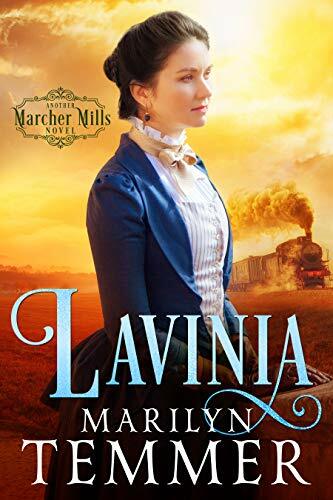 Lavinia and her two sisters, recipients of an unexpected inheritance, have changed their names and moved far away from those who reviled them because they were adopted—a disgrace in 1893. But had they moved far enough? Their guardian’s grasping, greedy and vindictive brother resolved to take back their inheritance and expose them as adoptees in their new town—thus ruining their businesses and reputations. Considered fast because they shortened their skirts, wore bloomers, and straddled bicycles, they banded with other females in their new town. Lavvy sold her perfumes and lotions in the general store, and organized an impromptu raid on the local Business Association. Sam Blake claimed Lavinia as “his lady” as soon as he saw her. Incensed with Cyrus’ determination to destroy them, he pledged his support to the three in various ways—all of them unacceptable to his lady. Misadventures and mishaps notwithstanding, the two worked toward a common goal. Or did they?